Pakistan's CBFC has unanimously decided to ban the release of Veere Di Wedding, starring Sonam Kapoor and Kareena Kapoor Khan, because of its vulgar language and objectionable sexual dialogues. After the delay in the release of Salman Khan's Race 3, now a Bollywood film has been banned in Pakistan for its vulgar language and objectionable sexual dialogues. Sonam Kapoor-Kareena Kapoor Khan starrer Veere Di Wedding will not release in the neighbouring country because the content of the film flouts the Censorship of Film Code 1980. "Members of the CBFC unanimously decided to not allow the film for public exhibition in the cinemas as its content flouts the Censorship of Film Code 1980," Danyal Gilani, Central Board of Film Censors (CBFC) Chairman, told IANS via social media. On Tuesday night, Veere Di Wedding was screened for the members of Pakistan's CBFC, following which it was decided that the film is not fit for screening due to "vulgar dialogues and obscene scenes," trade sources told the agency. Interestingly, the Sindh Film Censors had passed the films after making a few cuts, but the CBFC decided to ban Sonam-Kareena starrer. "Veere Di Wedding was screened before the full board and all members were surprised to see such content being displayed," a senior CBFC official told The Express Tribune, adding: "This film is not acceptable in our society due to its vulgarity and sexual dialogues spoken by the four girls and so, we decided to ban it." The film's distributors also withdrew their application for the certification after the questions over the vulgar dialogues and obscene scenes were raised. A senior member of the Distribution Club in Pakistan said that they were not aware that the film had vulgar content. "Thus, we withdrew our applications to distribute. We think the Sindh board was right to clear the film after making cuts. But we also agree with CBFC's decision," the senior member said. 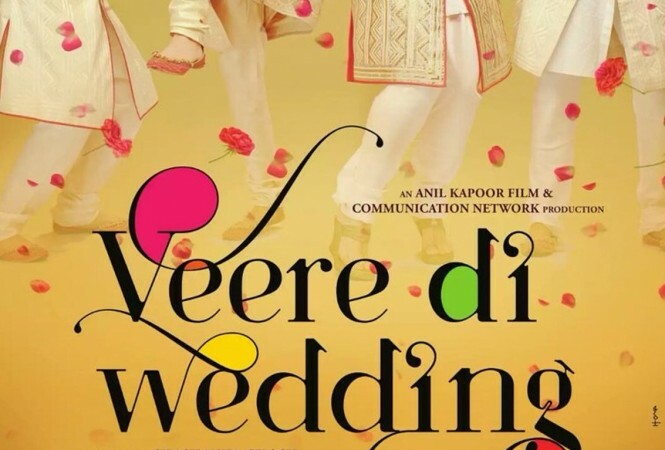 According to reports, Veere Di Wedding has received A certificate in India because of the cuss words used in the film. "Both Jeetendra and Anil Kapoor argued heatedly in favour of the colourful language spoken in the film. They are convinced that today's youngsters speak that foul lurid leery language. Some panel members objected. But finally, the board members agreed to let the language remain intact and gave the film an 'A' certificate," BollywoodLife quoted a source as saying. Directed by Shashanka Ghosh, the film also features Swara Bhasker, Shikha Talsania and Sumeet Vyas in pivotal roles. The film will release in India on June 1.